I'm excited to show you how I made a little ruffled St. Patrick's day shirt! 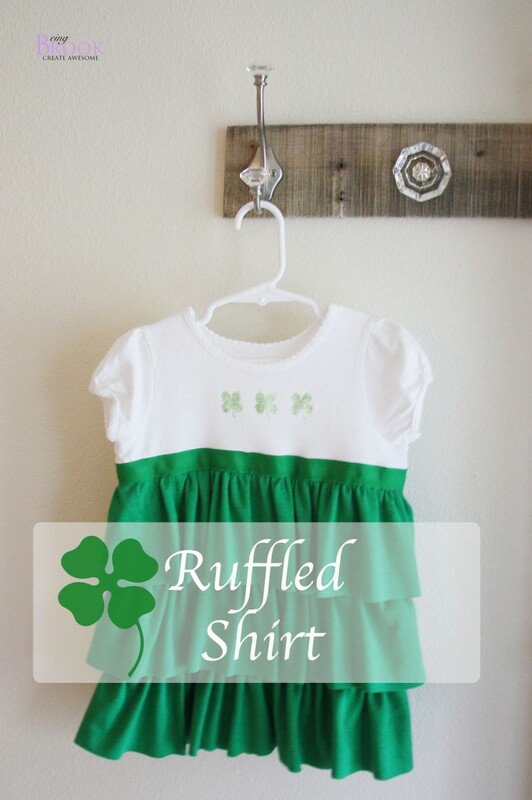 The ruffled shirt is so easy and fun! It even has that wonderful "spin out" effect when you twirl! 1. 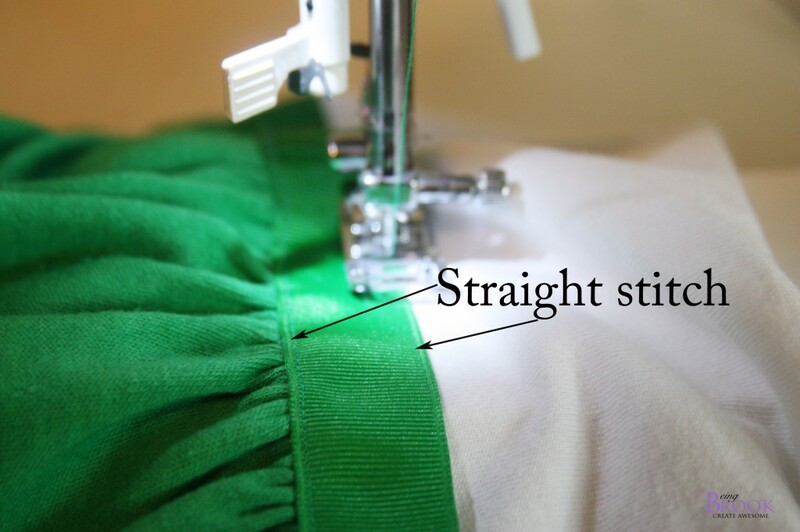 Measure and trace your sewing guide lines onto the t-shirt. I started about 2 inches from the armpit of the shirt and did three lines, 4 inches apart. 2. Cut your knit into 3 strips. Mine are 5 inches each. The great thing about knit is that it won't fray so you don't have to hem! 4. 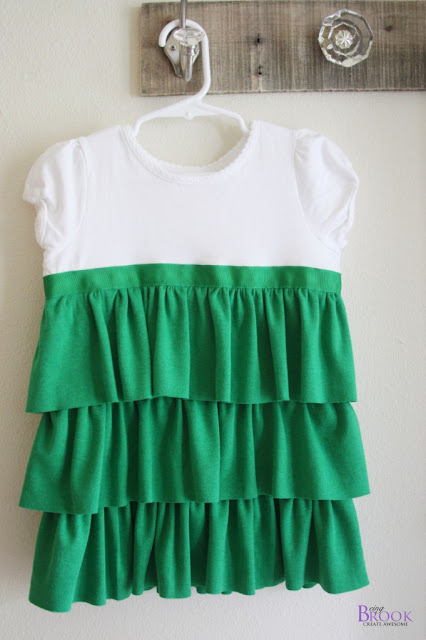 Pin and sew your knit strips onto t-shirt . When I got to the short edges around the back I just tucked it under and sewed, so you can't see where the fabric ended. Then trimmed the excess off the strip. The shirt with the three knit strips sewn on! Now take your ribbon and trim it to the size of your shirt. 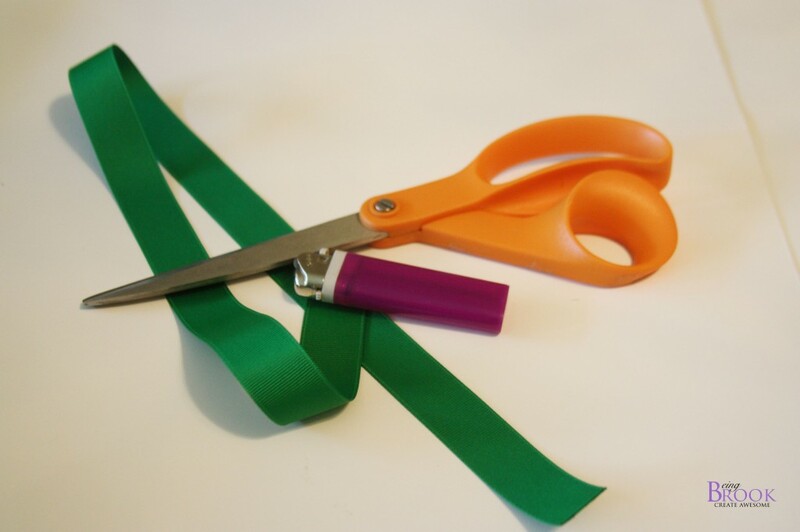 Singe the edges with a lighter to prevent the ribbon from fraying. 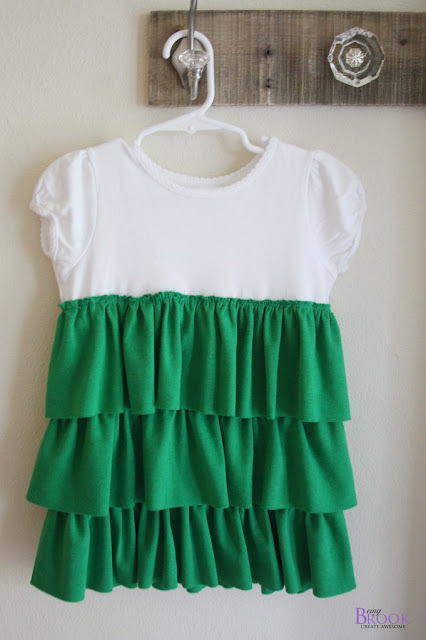 Pin the ribbon to top ruffle right below where you sewed it to the shirt. Bottom of the ribbon to the top of the ruffle. Sew along the bottom and top of the ribbon. 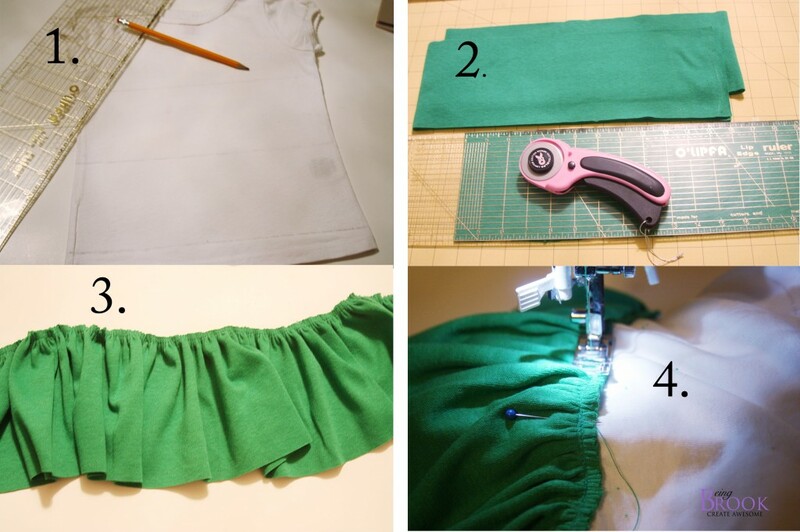 Now your knit edge is hidden with the ribbon giving it a clean, finished look. 1. 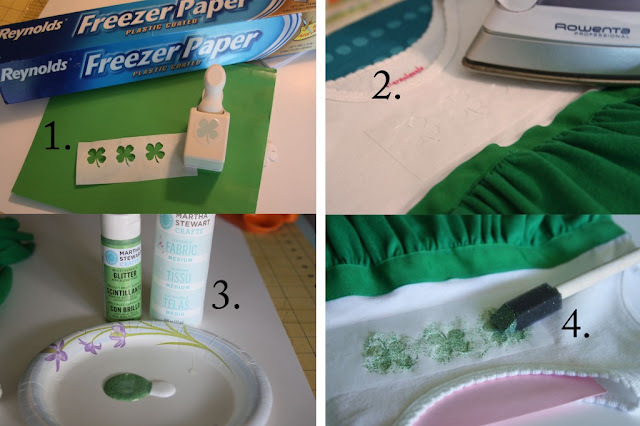 Cut a little rectangle of freezer paper and punch out your design. 2. Iron the freezer paper to shirt with shiny side facing the fabric. 3. 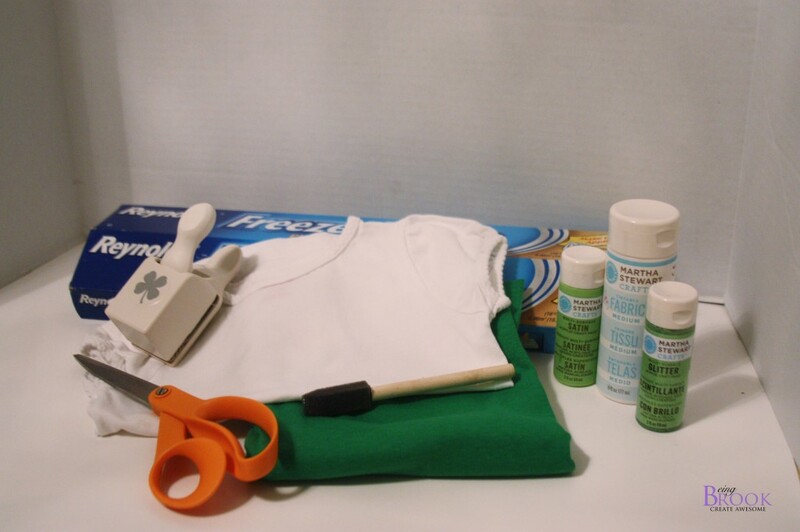 Mix your fabric paint. I used Martha Stewart glitter paint mixed 2:1 with fabric medium. 4. Carefully paint your design. When paint is dry peel off freezer paper. My fabric medium needed a 24 hr dry time and then I just heat set the design with the iron. Finished! Love that the ruffles make it a long shirt, perfect for leggings!